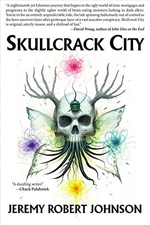 "Gripping, horrifying, surreal...Think The Old Man and the Sea meets The Pearl meets Pet Sematary, and you're beginning to the get the right idea. But, dare I say it, In the River takes you to even darker places..."
"This is superb fiction with a raw, throbbing, aching heart at its core that is far too big to be contained within the book's pages but that is, by some bizarre magic, still there." "From the opening pages I was swept away with Johnson's prose and after only ten minutes of reading I felt emotionally shattered. Johnson is a fantastic writer and this is a beautifully told story." "The Old Man and the Sea, but dipped in Johnson's signature soup of strange. A book of cold sweats and delirium...Johnson has given us a tale that explores parental terror and grief, and ultimately leaves the heart shook." 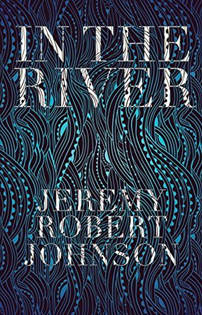 "Johnson has been long establishing himself as one of the premier writers of the weird alongside such talents as Kelly Link and Stephen Graham Jones, and with In the River, he demonstrates a depth of storytelling that cements him not just as a rising voice, but one that has arrived. 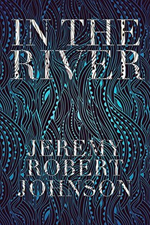 In the River is a fierce, distinctive gut-punch of a read with enough gritty darkness to bring even the most jaded reader of dark fiction to their knees." "The simple story of a father and son going fishing somehow morphs into a soul-shattering tale of anxiety, loss, and vengeance wrapped in a surreal narrative about the things that can keep a person between this world and the next. 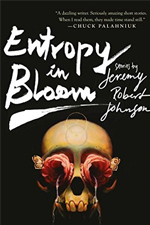 Johnson is a maestro of the weird and one of the best writers in bizarro, crime, and horror, but this one erases all of those genres and makes him simply one of the best."